Strategic appointment times and booking of preferred carriers makes meeting Walmart vendor compliance standards simple. A producer of organic food supplements engaged Zipline Logistics to solve reoccurring delivery problems for one of its largest customers – Walmart. Orders for the big-box store were consistently rejected. This caused orders to be late, extra paperwork, and the potential for costly fees related to retail compliance failures. Like every major big-box receiver, Walmart’s vendor guidelines and appointment scheduling processes came with growing pains. Delivery appointment confirmations were only communicated to the carrier the day prior to expected delivery and overall facility response time was slower than the industry standard. This made meeting Must Arrive by Dates (MABDs) and fulfilling On Time in Full (OTIF) requirements extremely difficult. The food supplements producer also knew that Walmart was tightening their vendor requirements in 2018 and that it needed to get ahead of the appointment and delivery issues before larger chargebacks and penalties were incurred. 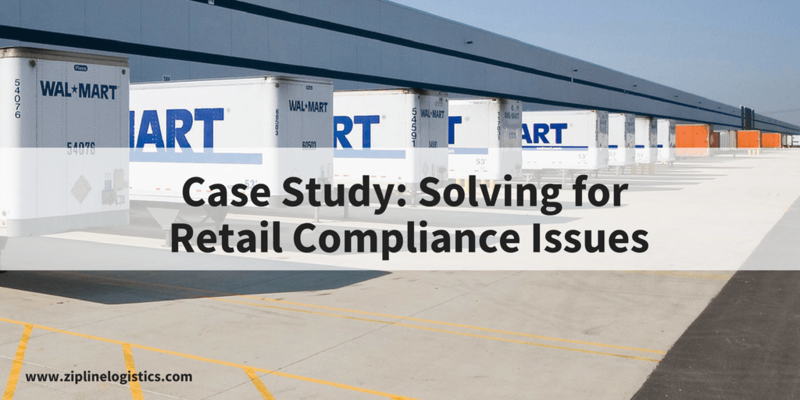 Zipline Logistics had deep familiarity with Walmart’s retail compliance standards and receiving operations, so they aided the supplements producer with uncovering why transportation was overly complicated and costly. Together they identified proactive ways to rework delivery appointments and book more reliable transportation. Zipline Logistics was able to help the supplements producer strategize and optimize their customer due dates, removing the burden and stress of schedule variances and missed MABDs. 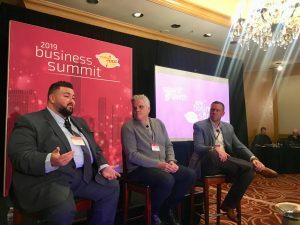 The team at Zipline coached the customer to switch up their appointments and helped to establish standing delivery days and times, eliminating the need for day-before confirmation. Knowing appointment times far in advance meant that the supplements producer and Zipline could book reliable and preferred carriers without the threat of being late. 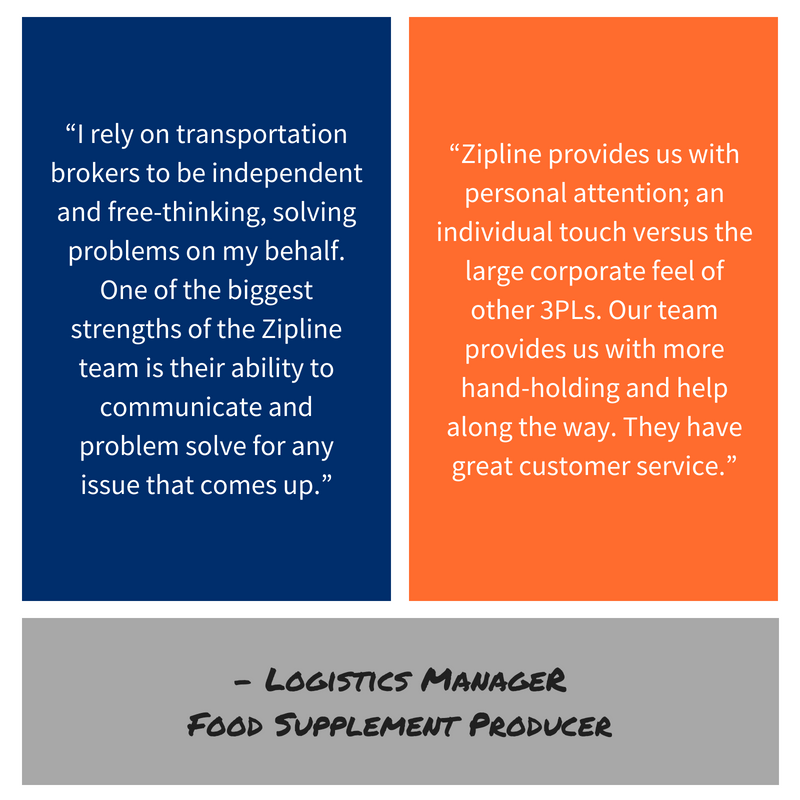 Zipline Logistics effectively helped its customer learn and adjust to the operational procedures of Walmart distribution centers. By transferring management of Walmart deliveries to Zipline, the food supplements producer improved its overall vendor performance. Improvements to Walmart deliveries helped to relieve a major stress point. Company morale improved as a result. 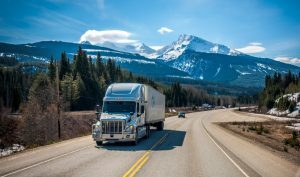 Logistics and sales employees now have fewer unknowns, fewer headaches, and feel more confident about daily operations. Additionally, without concerns for Walmart deliveries, the food supplements producer can focus on larger supply chain concerns such as production and imports. Do you need help with your grocery or retail deliveries? This free guide will arm you with everything you need to know to ace your Costco vendor relationship and avoid costly chargebacks.